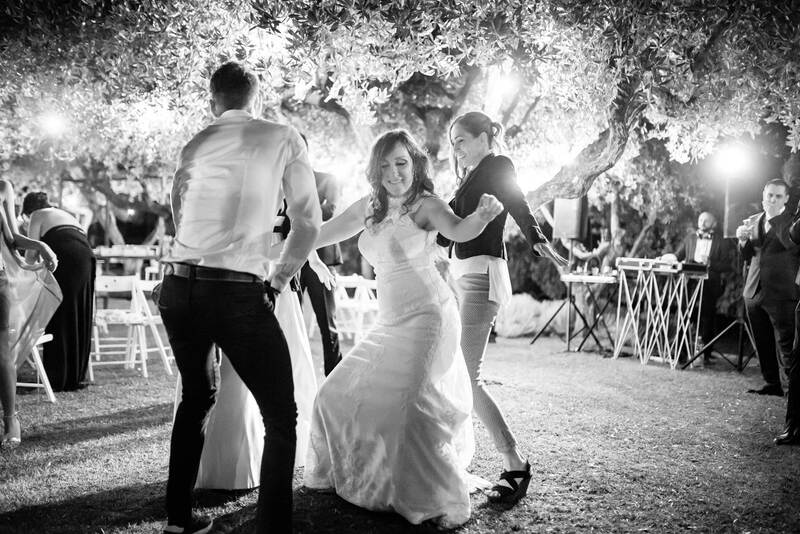 As a wedding photographer, I really appreciate the challenge of extreme situations. 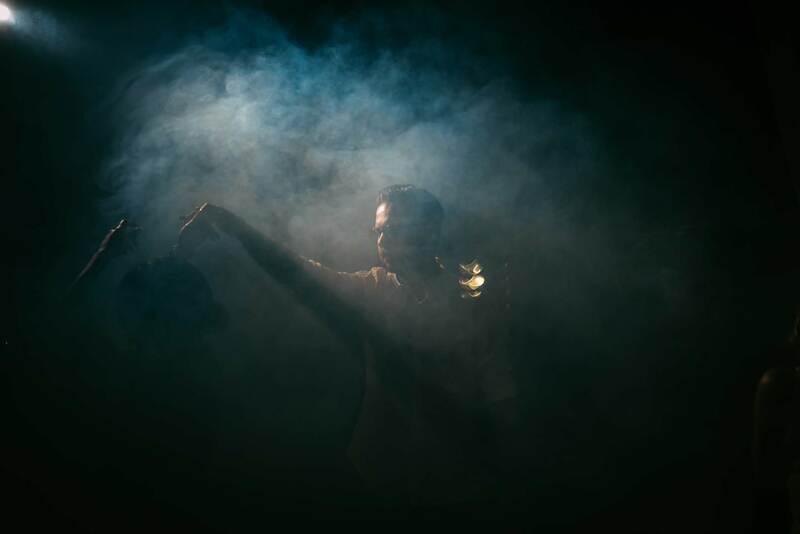 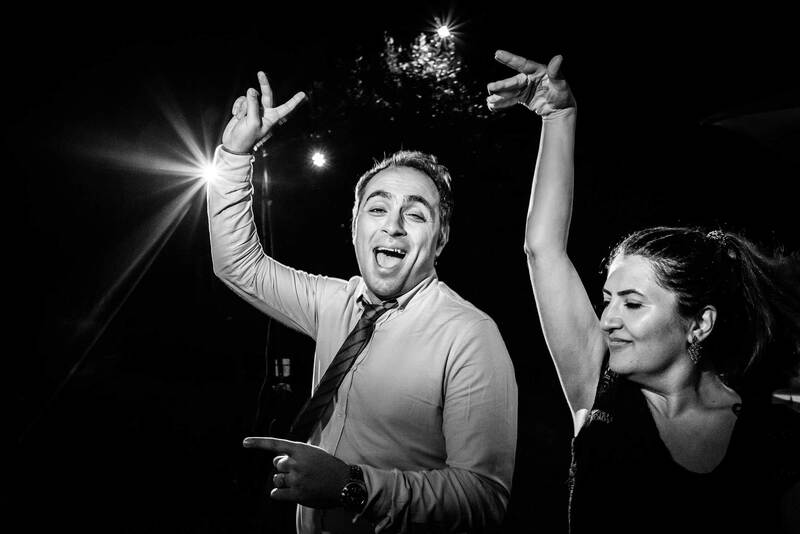 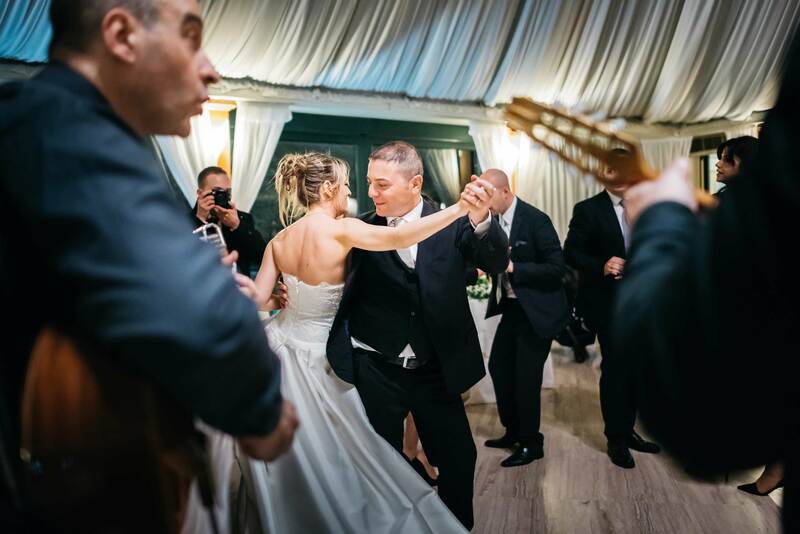 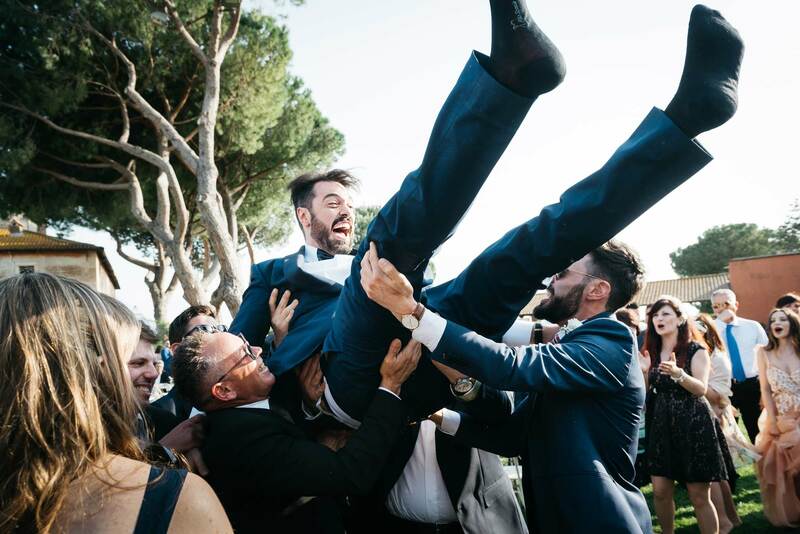 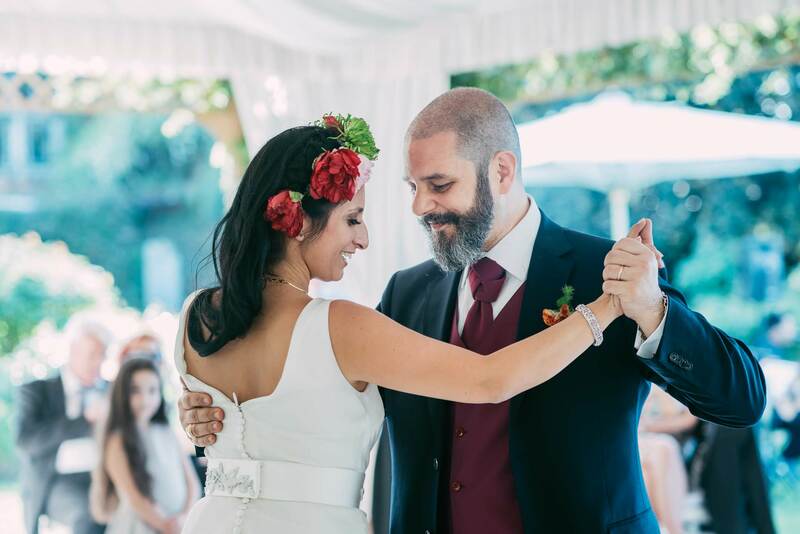 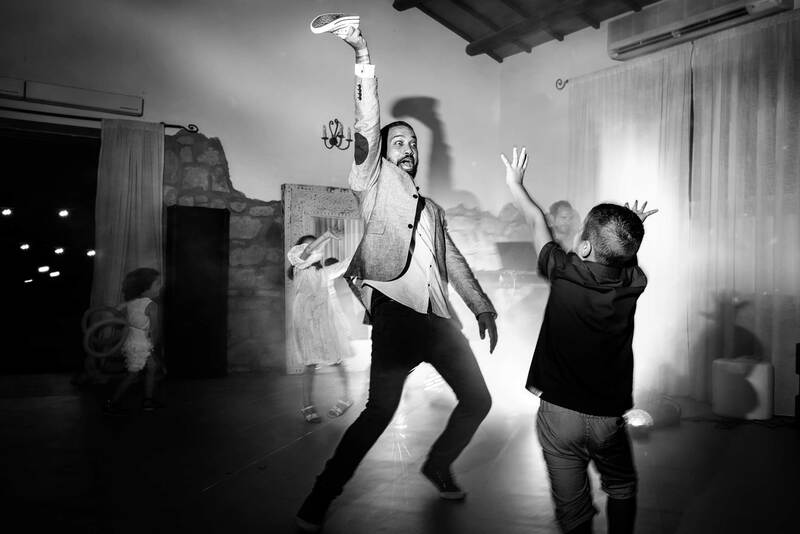 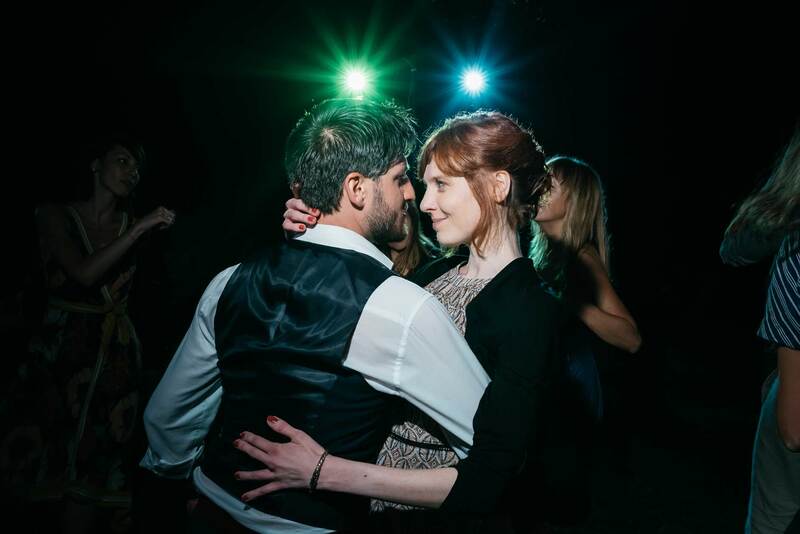 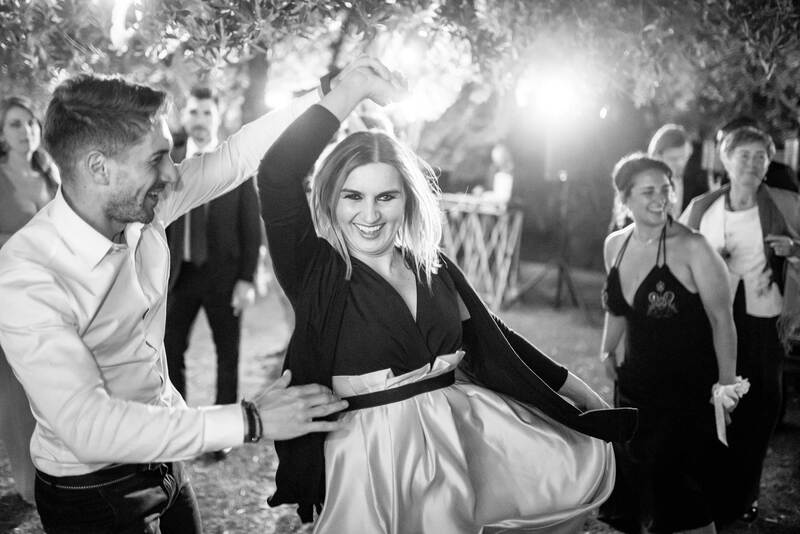 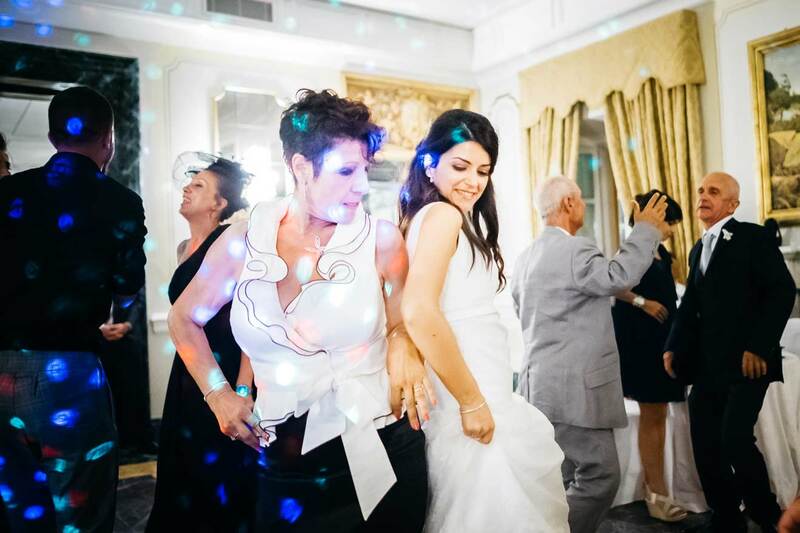 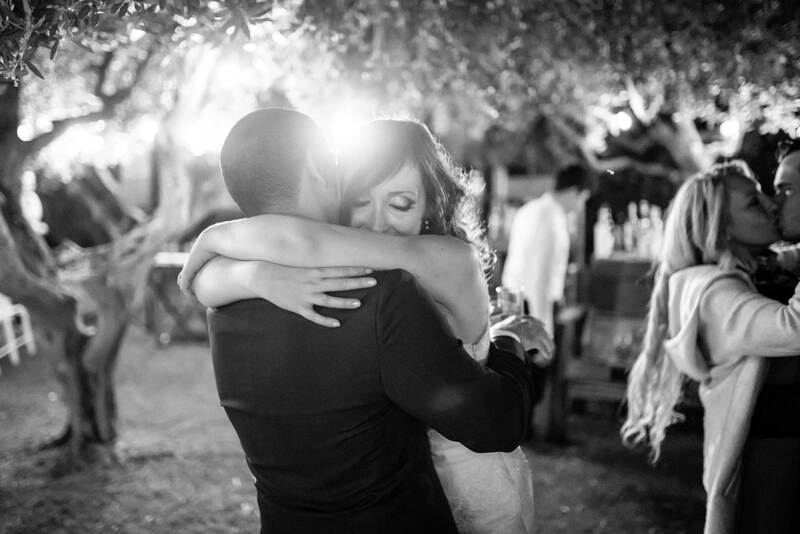 In many wedding in Rome, lighting conditions, fast movements and unpredictability of what can happen on the dance floor are absolutely stimulating conditions for a documentary wedding photographer who is passionate about his work. 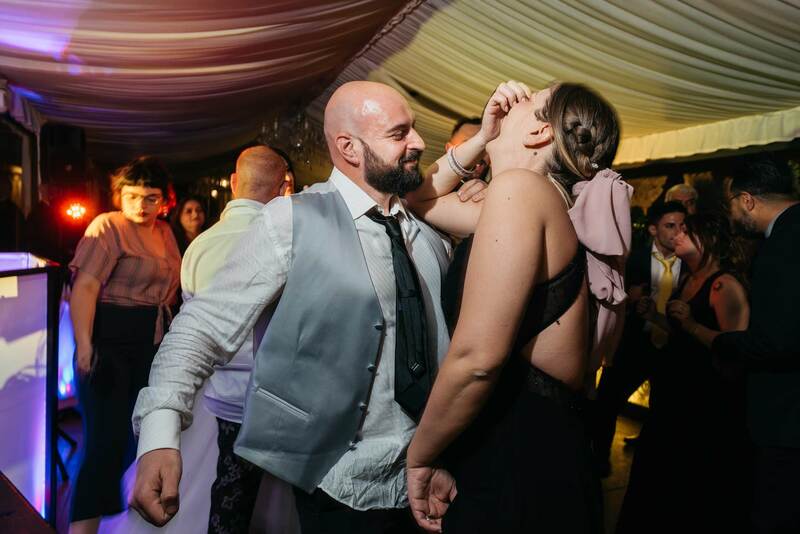 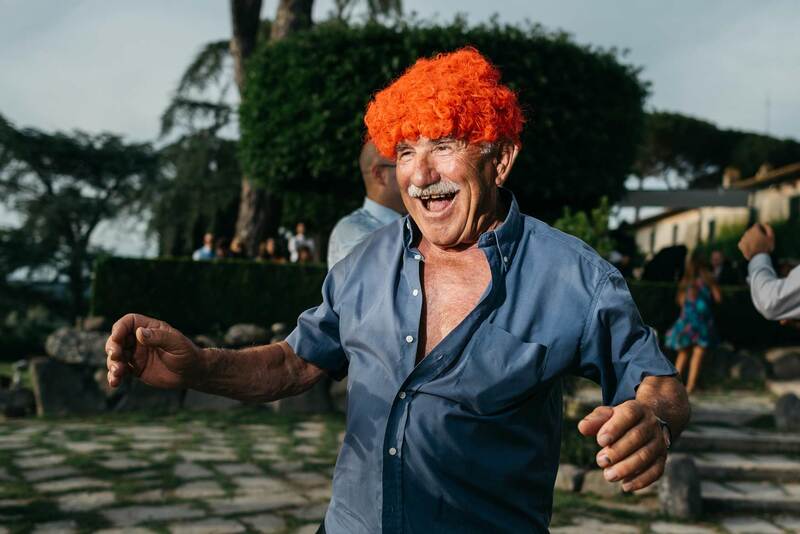 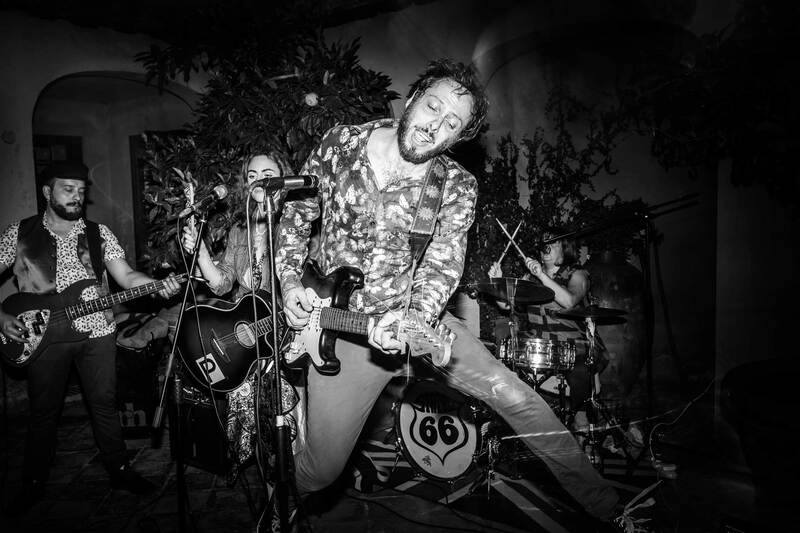 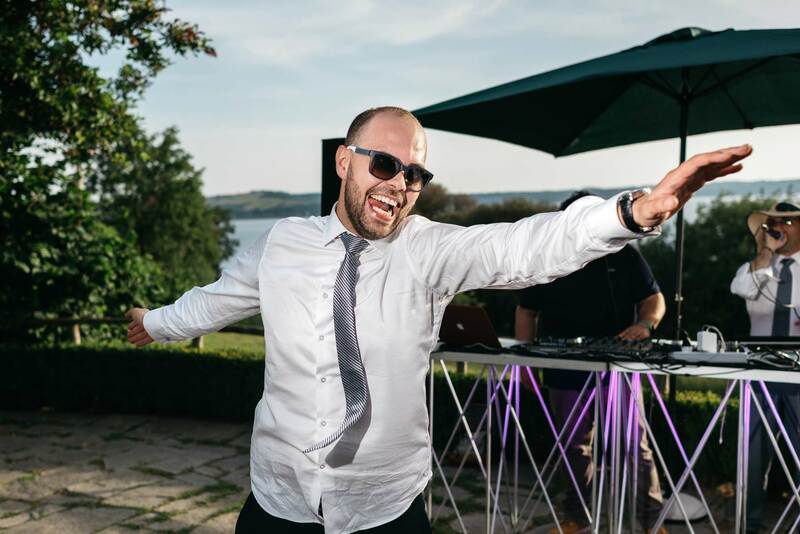 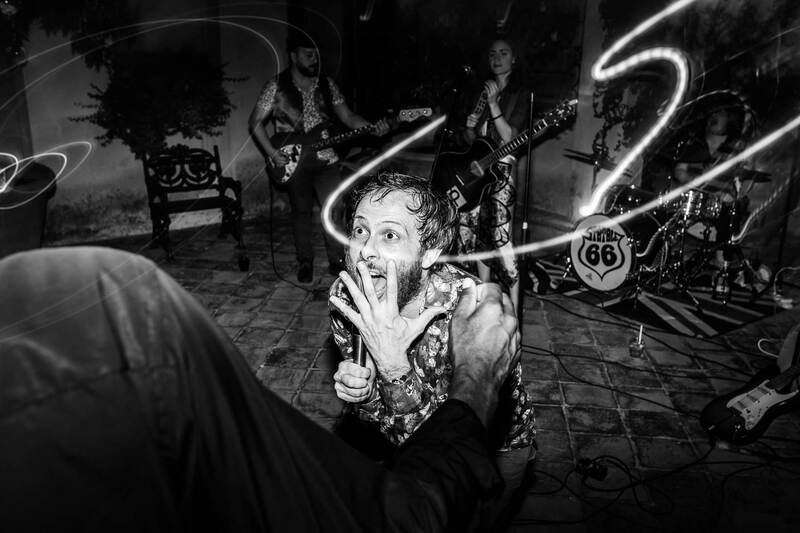 The party is usually the most fun time for the guests and also for me, always looking for the picture of my life! 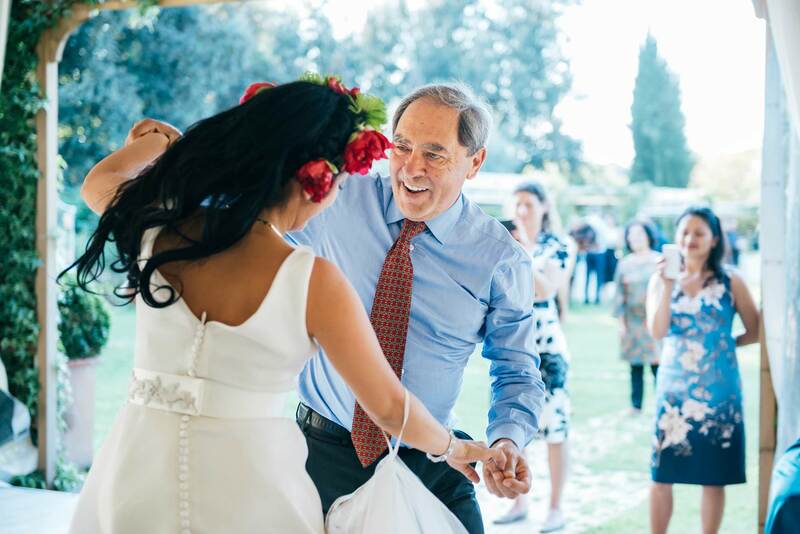 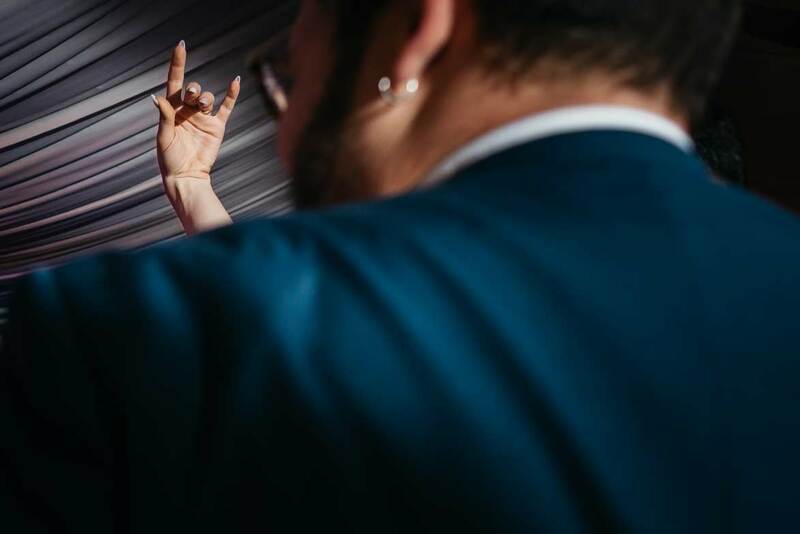 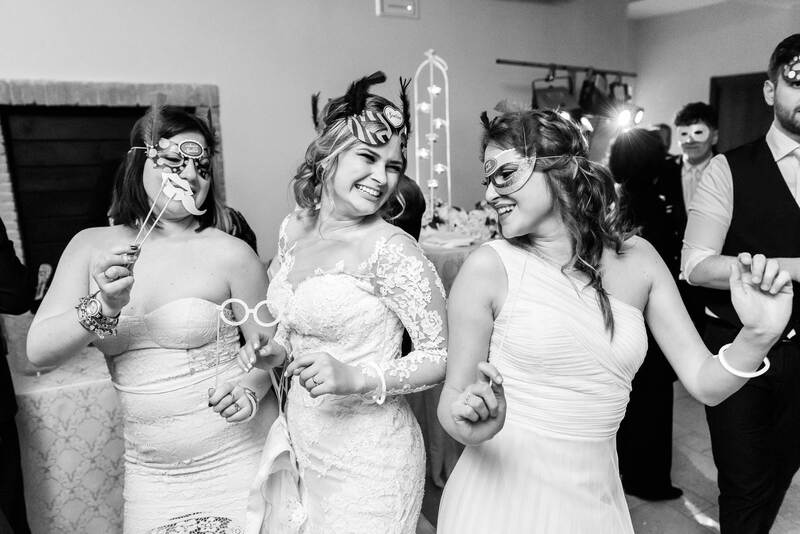 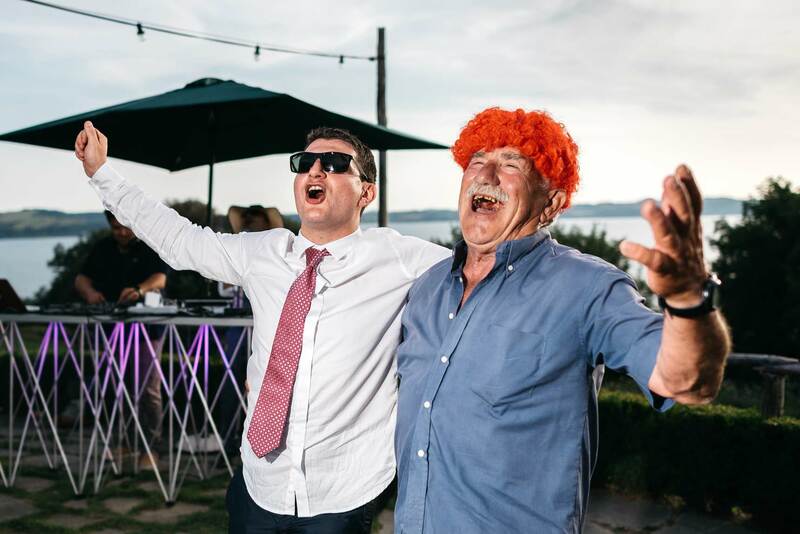 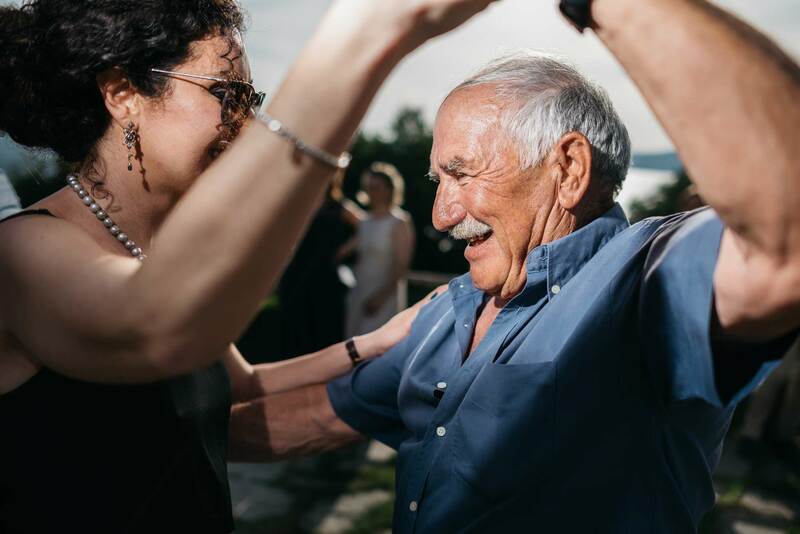 To get the best photos, it’s definitely better if the guests start dancing early and all together: the most unbridled dances may not last long as often people are overdressed and have probably eaten very much! 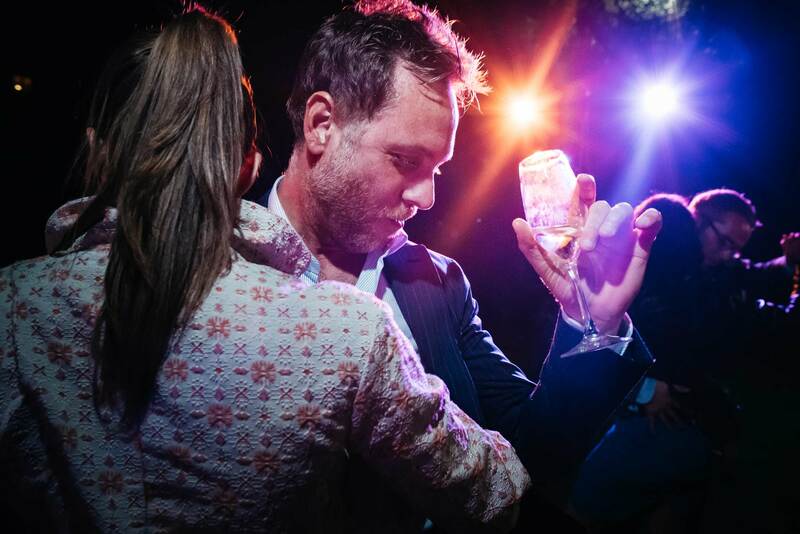 Nice lighting on the dance floor can greatly improve the result of party photos, instead some models of laser lighting create unpleasant overexposed spots on dancing people.